There are certain flaws in our world, defects and blemishes, that should rightly be recognized but instead become invisible. They blend in with the background, either through the numbing of repeated exposure or through our willful desire not to see. Chances are, you stepped over innumerable examples today—cracks in the pavement that marked your path; seemingly unimportant, easy to ignore, but when you stop and think about it you realize that ignored, these problems grow and multiply until they are important. Until they’re impassible. There’s another flaw, immeasurably more horrific, and somehow just as ignored. 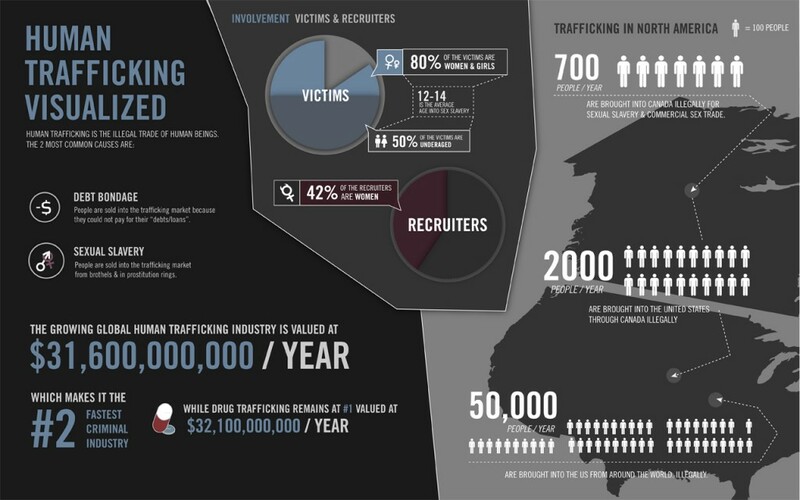 Human trafficking is thought to be the second fastest growing criminal enterprise, and one of the most lucrative. Up to 36 million people are living under some sort of slavery, right now. Eighty percent of them are women and children. Sixty thousand of them are in the United States. It’s a problem so huge, so unspeakable, that it’s hard to wrap your mind around, and hard to identify the solutions needed to stop it, ASAP. The most immediate concern, of course, is rescue for the victims. But like most nostrums, that one is far too simple, and is in less than perfect understanding of the scope of the problem. So let us, then, come to terms with what’s going on, and let us find ways that all of us can start working to stop this heinousness. Enter artist Molly Gochman, whose collaborative Red Sand Project seeks to enlist us all in raising awareness of the modern-day slavery that’s going on all around us. Conceived in part with Art Basel, Gochman’s project is straightforward in execution, profound in its implications. Participants sign up online to receive free toolkits, which include bags of blood-red sand. 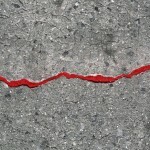 They are then urged to use the sand to fill in sidewalk cracks in their neighborhoods and communities. That’s it. But in becoming integral to a multi-sourced art project, those cracks are transformed from the everyday invisibility we spoke of earlier, to jarring scars on our landscape, impossible to ignore. The goal is for these silent messages to become ubiquitous, and to become the basis of a conversation that all of us begin having. As a result, we can hope, the victims of human trafficking likewise shed their invisibility, and stop falling through the cracks. And eventually, they go free. The easiest, most understandable, most avoidable mistake we all can make is to assume that human trafficking is so evil it must be going on somewhere far away. Don’t kid yourself. It happens in big cities and small ones, and in rural villages and tiny hamlets. It happens everywhere. Chances are uncomfortably huge that it’s going on near you, that you’ve walked right past it, that it’s happening in places you thought you knew well. 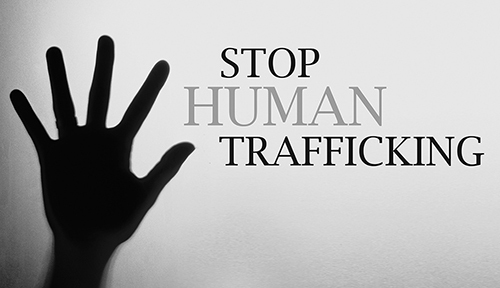 Human trafficking is not a problem you can or should ignore. Educate yourself, learn what to look for. If you suspect it, report it. And if you have the time and inclination, spread a little sand. 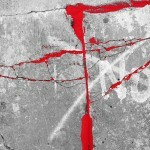 This entry was posted in New Post and tagged Art Basel, human trafficking, Molly Gochman, Red Sand Project. Bookmark the permalink.